Founded by William the Conqueror to atone for the Battle of Hastings (1066), the ruined Battle Abbey lies on the very battlefield that changed English history. Administered by English Heritage, the site includes the abbey ruins, a large expanse of the battlefield, and modern exhibitions about monastic life and the Norman Conquest. On October 14, 1066, a Norman duke known as William the Conqueror defeated King Harold at the Battle of Hastings. This decisive victory brought the Saxon period of English history to an end and initiated the Norman rule of England. The Norman Conquest would bring many changes to the island, including a new French style of Romanesque architecture and many new churches and monasteries all over the country. After the Battle of Hastings, William went on to conquer other important strongholds further north, such as London and York. But in 1070, his attention returned to the battlefield where it all began when, pressured by the Pope, he founded a Benedictine abbey to atone for the thousands of deaths on that field. The new foundation was dedicated to St. Martin, but it has been known almost ever since as Battle Abbey. Battle Abbey was built right on the battlefield, with the church's altar positioned over the site where King Harold fell. Constructed in the Norman Romanesque style, with a round apse and ambulatory, the church was completed in 1094. It was consecrated by the Archbishop of Canterbury in the presence of the Conqueror's son, William Rufus. The abbey was colonized by four Benedictine monks from Marmoutier monastery near Tours, France. Construction on the remaining abbey buildings, such as the dormitory and cloister, continued throughout the 12th and 13th centuries. The church was extended to the east in the 13th century. In the 14th century, French raids during the Hundred Years' War required the abbey to improve its defenses. 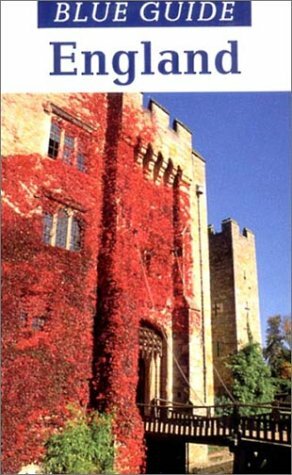 This included rebuilding the gatehouse to the towering edifice that still stands today, beginning in 1338. Later in the same century, the abbey was struck by the Black Death. More than a dozen monks succumbed to the plague and the monastery's incomes suffered. Battle Abbey was dissolved on May 27, 1538, and the property was given to Sir Anthony Browne. The new owner promptly destroyed the church, chapter house and cloisters, and renovated the abbot's house into a country mansion. In later centuries the property fell into decline, but it was restored by the duke and duchess of Cleveland, who lived here from 1857 to 1901. Battle Abbey School was founded in the abbot's house after World War I. Both the battlefield and abbey were purchased by the nation in 1976 and the site is now administered by English Heritage. Entrance to the site is through the towering medieval gatehouse on the High Street of the small town of Battle, which is beautifully lit up at night. Considered one of the finest examples in England, it looks like a miniature castle: it has four round towers with cross-shaped arrow slits, and is battlemented on all sides. Corbel heads decorate the exterior and the passageway; those in the latter include the heads of King Harold and King William. Today, the gatehouse contains a Museum of Abbey Life, with exhibitions illustrating the lives of the monks at Battle Abbey. The east wing dates from the 16th century and contains the ticket desk and gift shop. Modern buildings to the right (west) of the gatehouse contain a cafe and an exhibition on the Battle of Hastings. From the gatehouse, visitors first pass Battle Abbey School on the left, which is housed in the former abbot's quarters (remodeled in the 16th century). The school is off-limits to the public. The path continues south to the Monks' Terrace, a peaceful dirt path overlooking a large meadow - the battlefield where thousands of Normans and Saxons died on October 14, 1066. Illustrated signs along the path bring that fateful day to life. Two hills visible across the valley, Senlac and Telham, are where the Normans camped the night before their attack. Also along the Monks' Terrace, opposite the battlefield, is the guest range. The guest quarters do not survive, but a tall round tower still stands, as do the 13th-century cellars, used to store food and drink. The visitor path then leads to the abbey itself, of which sadly little survives today. The great abbey church, the first Norman church built in England, is entirely gone, but its floor plan is marked in the grass. The church had an ambulatory with three radiating chapels, a transept with apsidal chapels, and a nave with seven bays. It is thought to be the first church with radiating chapels to be built in England. East of the high altar area, the radiating chapels of the 13th-century crypt still stand a few feet high. The cloister is also outlined in the grass, just south of the church. Traceried windows from the cloister's west range have been preserved in the wall of the abbot's house. The two bays on the left are the earliest, dating from the late 13th century. The remaining bays date from the 15th century. The only abbey structure that has survived mostly intact is the monks' dormitory and reredorter (latrines). Built in the early 12th century by the first abbot, this is where the monks slept in a very austere fashion. The dormitory is the larger building, stretching north to south. Its grand proportions and lancet windows give it the appearance of a grand church. The undercroft of the dormitory is a beautiful rib-vaulted area dating from the 13th century. Probably used originally as a novices' room and common room, a hooded fireplace indicates it may have been later used as a warming house. Extending east from the dormitory is the reredorter, consisting of seats with holes leading into drains in the vaulted arches below. East of the reredorter was the infirmary, which no longer stands. Battle is located in East Sussex, a few miles north of Hastings on the southern coast of England. From London or the north, take the A21 south to the A2100, following signs for Battle. Personal visit (November 16, 2007). Ian Ousby, Blue Guide England, 11th ed. (London: A&C Black, 1995), 92. Below is a location map and aerial view of Battle Abbey. Using the buttons on the left (or the wheel on your mouse), you can zoom in for a closer look, or zoom out to get your bearings. To move around, click and drag the map with your mouse.